Let me be clear up front, I'm passionate about sustainability, particularly the use of sustainable energy, and I believe climate change is a very serious threat. I think everyone should be concerned, not just for themselves, but for their children as well, so I of course think you should go solar. But, even if I didn't believe all of those things, you should still consider going solar for financial reasons. We put solar panels on our roof at the end of 2009. That's only 8 years ago, but there's been tremendous change in the solar energy industry since then. In 2009 solar panels were much more expensive than they are now (and the continue to get less expensive), and they weren't as efficient as they are now (and still getting incrementally better each year). On the flip side, the incentives (at least in Colorado) were much better then than now. We purchased a 5.04 kW system from Standard Renewable Energy (SRE) and they installed it. (They've since been bought by GridPoint and no longer do solar installations, at least in Colorado.) The total cost was listed as $38,307, but then there was an "instant rebate" from SRE of $10,080, which took what I would consider the real cost down to $28,227. But we didn't even have to pay that as, at the time, the combined utility and state rebate for that size installation was $17,020, which means our out-of-pocket cost (the check we had to write) was $11,207. But it gets even better, because that doesn't take into account the federal rebate, which turned out to be an $8,693 tax credit on our 2009 taxes, so we effectively paid $2,514. At the time SRE showed the break-even point to be between 3 and 4 years, but we estimated it at more like 5 (they had built in 10% electricity rate increases each year). We didn't track it exactly, but we estimate the break even point was at about 4.5 years, which means that since mid-2014, our electricity has been close to free (not completely free, as we still pay a grid-access charge). So what's our "return on investment" on solar? Well, that's a bit hard to tell, as the solar panels are still operating great and effectively generating income for us, and we don't know how long that will continue or what electric rates will do. We spent $2514 at the end of 2009 and, so far, have "made" probably more than $4,000 in saved electricity bills. That's currently around a 6% compounded yearly return (with no associated tax liability). As part of the agreement with the utility company, solar systems are generally sized to generate approximately the same amount of electricity you use in a year, plus or minus a bit. (You can choose to install a smaller system and generate less, but they don't like you to overshoot the mark.) Ours was sized at about 98% of our usage, although over the subsequent years we have actually used a bit less electricity (we installed new windows and replaced some appliances), so each year we typically have received a small rebate check from Xcel at the end of the year for the excess we've generated. Being the sustainability guy that I am, I of course wanted to figure out a way to make that new energy clean energy as well. We still had some room on our roof (perhaps not the ideal orientation, but still okay), but it turns out that most solar companies don't want to add on to an existing system (I'm sure for liability/insurance reasons) and, since our system is still working great, we certainly didn't want to tear it off the roof and put a whole new system on. So we began looking at alternatives and ended up purchasing 4 panels at a community solar farm operated by Clean Energy Collective. 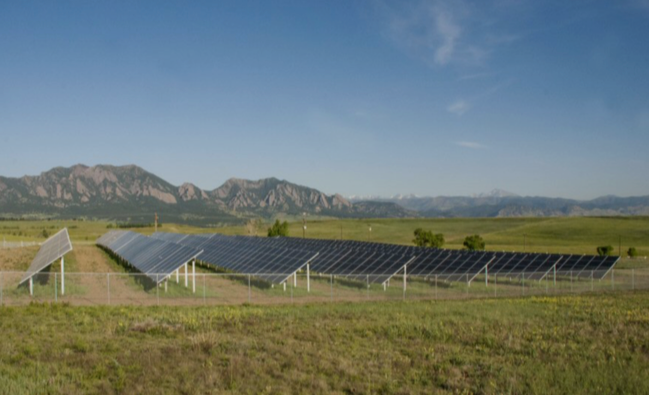 Community solar farms are big arrays of solar panels, typically installed in big open fields, that generate electricity and feed it back into the grid. Individuals or businesses can then buy a portion of the array and get credit for the electricity generated to offset their own usage. 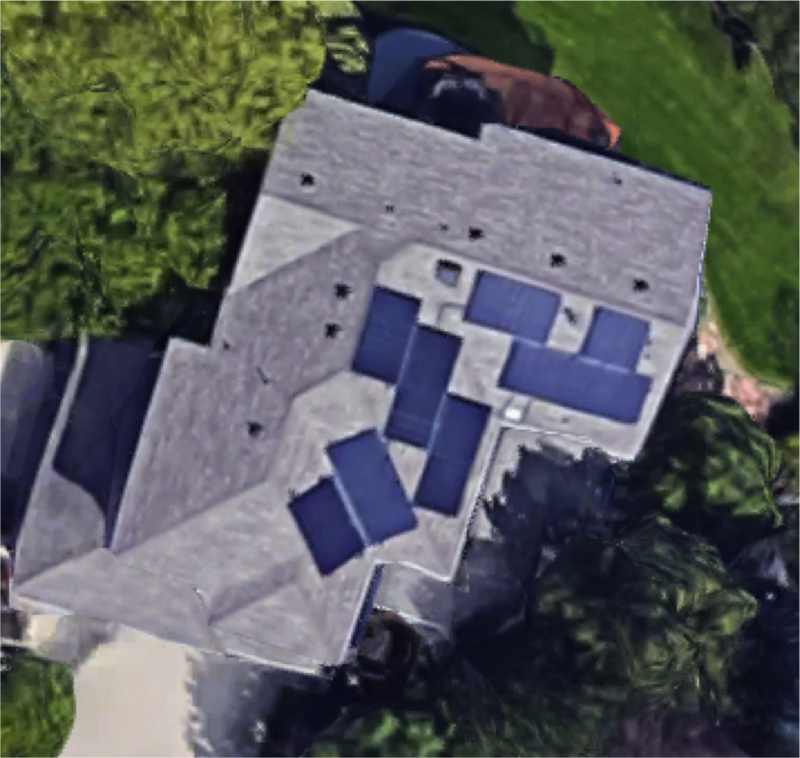 It's often called "roofless solar" and, in many ways, it's better than solar on your roof. Solar farms are generally more efficient (they can align the panels perfectly) and cost effective (cheaper to install on the ground than on a roof, as well as economies of scale). I still prefer putting solar panels on roofs, as then I know for sure it's new energy generation and it provided at the source, not simply purchasing already existing solar farm panels and feeding into the grid, although by purchasing those you are using up existing farms and therefore they are likely to build additional ones. But, because we couldn't easily add any more to our roof, this was a great solution for us. The cost of this, of course, varies, but let me share the specifics in our case to give you an idea. Because we only needed to generate the additional amount of electricity we were using by charging the Volt, we only "purchased" 4 panels (which is the minimum) at the solar farm (located in Arapahoe County). We are effectively leasing the panels for 19 years (for initial customers it was 20, but because this farm has been in use for a little while, I guess we only have 19 years left). The cost for those panels was $3,050 out of pocket (ironically, more than our entire solar system after rebates in 2009). Those 4 panels will generate 1.22kW. The way we get "paid" is that we get a credit on our utility bill from Xcel each month, currently 7.6 cents per kWh (that rises and falls with whatever the current rates are), as well as an 8 cent per kWh renewable energy credit (REC) that gets paid quarterly. The estimated yearly savings for 4 panels comes out to about $322. CEC then estimates that electricity rates will rise 4.8% per year. This is more realistic than the 10% SRE used back in 2009, but still perhaps a bit too high (unless a carbon tax is eventually passed, in which case it might be much too low). Using those assumptions they calculate a 9.5 year break-even point and a total return of "187%" after 19 years. Assuming no increase in electric rates, the return is about 4% per year compounded. Given that electricity rates will likely rise some, I'm going to guess it will turn out to be about 4.5% per year compounded. Is that a great return on investment? Well, no, not compared to investing it in equities (but, again, keep in mind there's no tax liability, so that boosts the return up some). If I was just trying to maximize my return, this would be a bad idea, investing $3,050 into an index fund would likely generate more return. But since I can generate clean energy, help combat climate change, and still earn a return that's better than a money market account and probably pretty equivalent to what bonds would return, I think that's a pretty good trade-off (as well as diversifies my investments a bit). Now, if you don't already have solar on your roof, you should definitely first investigate the cost and return on investment for that (more on that below). But, if you don't own a house, or if you can't or simply don't want to put solar panels on your roof, then this is a great option. If you are interested, I'd recommend contacting Pete Stein at CEC (pete.stein@easycleanenergy.com or 720-623-0618), he was very thorough and helpful. Full disclosure: If you mention my name and end up purchasing from CEC, I will receive a $200 referral fee. If you feel icky about that, don't mention my name :-). But keep in mind that if you do, you also will receive a $200 check after completion of your purchase and $100 will be donated to charity, which is why I decided to go ahead and include it in this post. 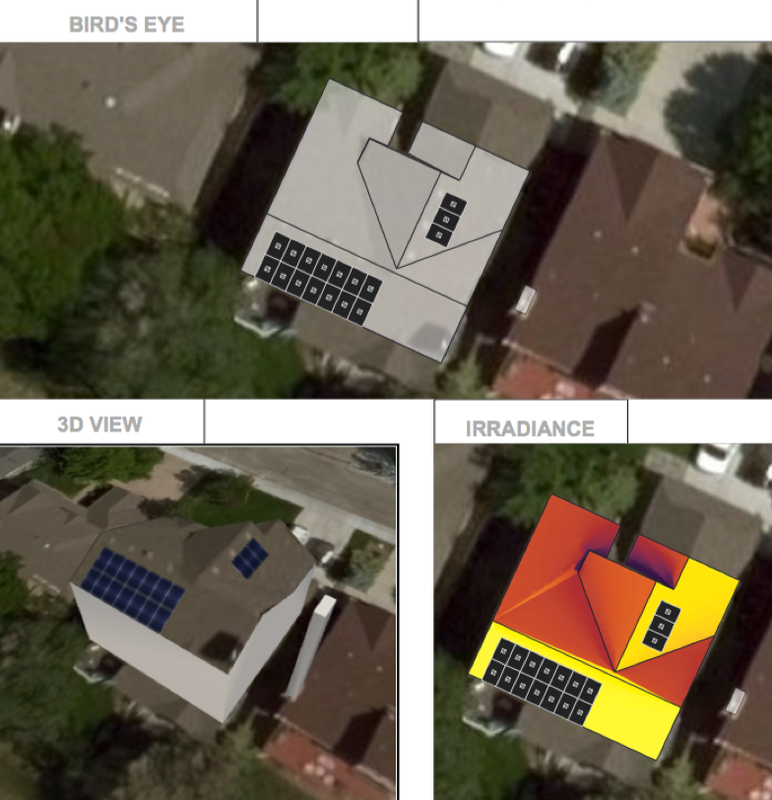 Since we already had solar on our roof, I couldn't get a quote for what it would cost to install solar now. Luckily, I have a friend who just installed solar in my neck of the woods in Colorado and he was willing to share his information. As I mentioned previously, much has changed in the solar industry since we installed in 2009. In addition to the changes in cost and efficiency, you now have many more choices of installers and many of them now offer solar leasing in addition to up-front purchasing. My friend ended up going with Ion Solar and, so far at least, he's been very happy with them. Let's take a look at some of the details for his install. They installed a 4.85kW system, so roughly equivalent to the system on our roof. Their total system cost was $18,896, less the federal rebate of $5,669, for a net system cost of $13,227. There are no longer the huge state/utility rebates like when we installed ours, instead you now get a minimal REC from Xcel for the energy generated. (From the information shared with me, I can't tell how much this is or exactly where it figures in the calculations, but I know it's often less than 1 cent per kWh). My friend chose to finance the system, which is basically a solar lease. The amount financed is the full amount of $18,896 at 4.99%, and they'll make payments of $79 per month for the first 16 months, then $91 a month thereafter for the remainder of the 20 years of the lease (this assumes that the $5,669 tax credit is then applied to the loan when it's received). In their calculations Ion assumes a 4% yearly increase in electricity rates and, based on this information, after 25 years they will end up $20,667 ahead. So what's the return on investment? Well, since there's no money put down up front, it's complicated. But for the sake of argument, let's assume they had decided to purchase the system for the net cost after federal rebate of $13,227. Ion estimates that over 25 years (factoring in the estimated 4% yearly increase in electricity rates) they will save $42,280, which is about 4.8% per year compounded (again, tax-free). Again, compared to investing in equities, that's not a great return. But given the good that you're doing, along with diversifying your investments and earning a bond-like return, I think it's more than worth it. So what should you do? If you own a house, I'd suggest getting bids from several vendors for installed solar and compare, and perhaps also contact Pete at CEC to compare roofless solar as well. There are lots of vendors to choose from, but I would certainly include Tesla Energy (formerly Solar City), because I anticipate with their new Gigafactory 2 coming online shortly their prices will be very competitive. (In addition, if you happen to need a new roof sometime in the future, look into their new solar roof option. It's more expensive because it's tile, but when you factor in the electricity savings, it ends up being cheaper than an asphalt roof, plus it has an infinite warranty on the tiles themselves - you'll never have to replace the roof again.) If you don't own your own home, or for whatever reason don't want to install solar panels on your roof, then definitely contact Pete at CEC and get all the details.